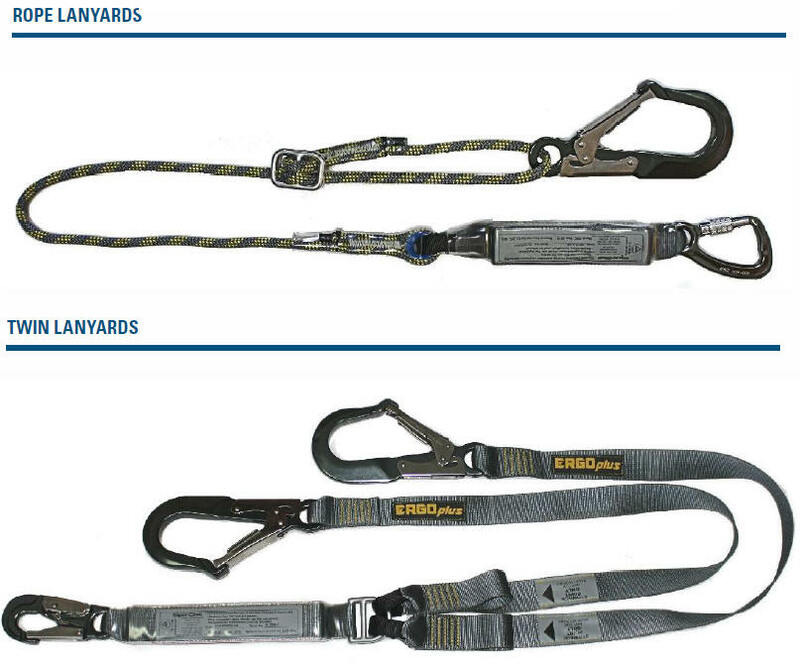 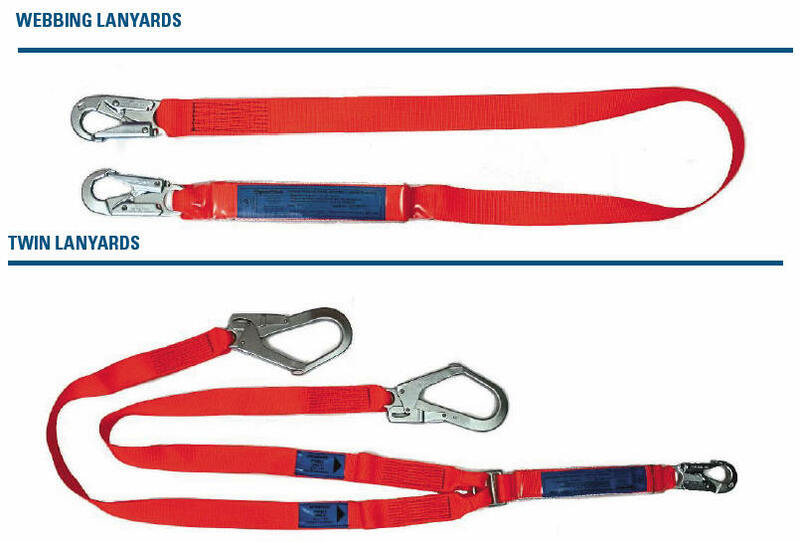 These items can be the key to working at height safely if used appropriately. Like all safety gear, you need to select the right item for the right job. 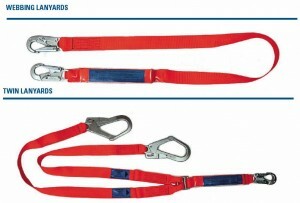 So this section starts with what I believe is the most flexible system for any worker to maintain him in effective restraint in appropriate circumstances.. These systems can come in any length, dependent on requirement, includes shock absorber (not shown) on rope grab device. 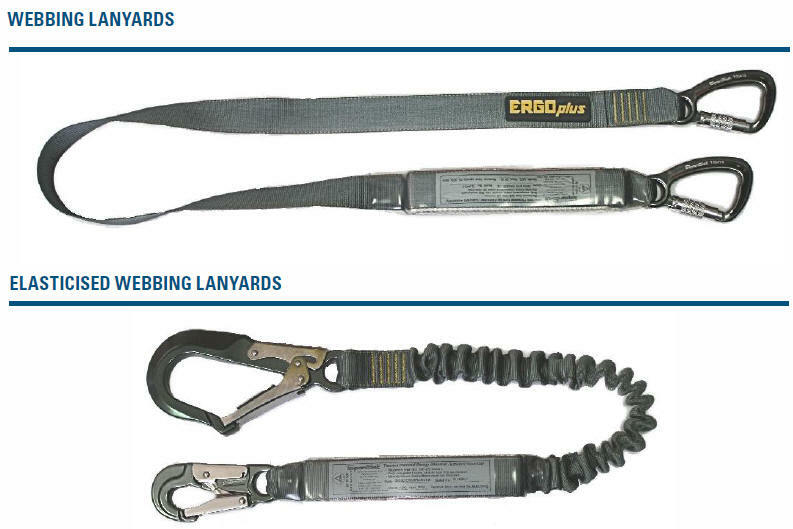 Inertia Reels and Retractable Lanyards provide an excellent attachment system while working at heights to limit any freefall to less than 600mm. 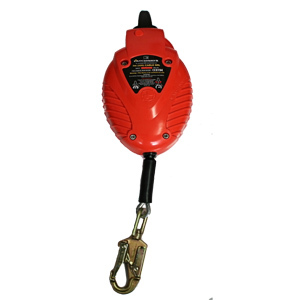 They are designed to operate overhead (check manufacturer for horizontal use), and in the event of a fall the system locks. 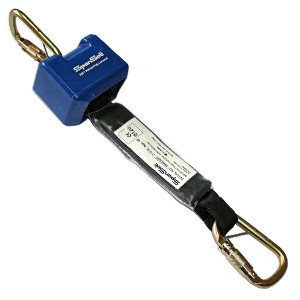 Inertia Reels have a built in shock absorbing system, whilst retractable lanyard generally have an external shock pack built into the line. 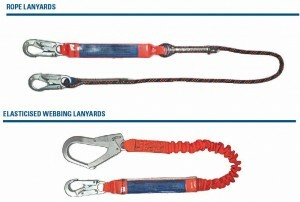 These units can come with working lengths from 2.25m to 40m. 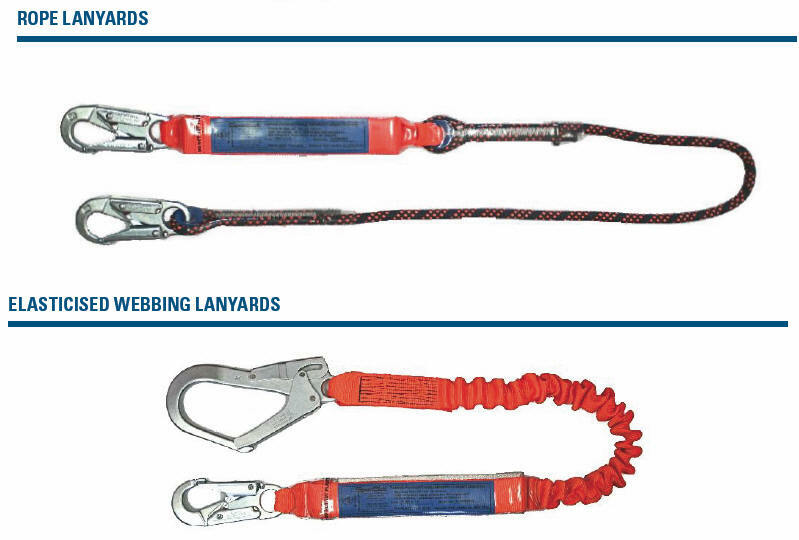 The systems can have a webbing line, or a galvanised or stainless steel cable, generally webbing is used up to 3m and cable beyond that. 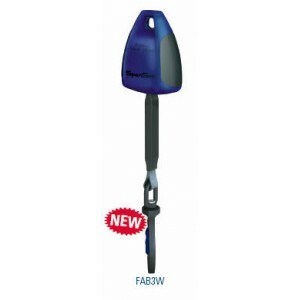 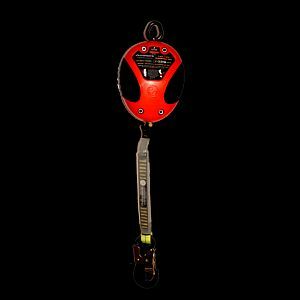 #3201Spanset Retractable Lanyard – this is a 2.25m webbing lanyard system with shock absorber.